Growing your email list is important when starting your online business. Without a list of leads, acquiring business will be difficult. That’s why you often hear from marketers that the money is in the list. But how do you go about gaining more subscribers if you already have the basics covered? You’ve invested in a strong lead magnet, made it easy for visitors to sign up to your list, and you even have content upgrades placed in your blog posts for higher conversions. If you are still finding you have little to no sign-ups on a consistent basis, it might mean you need to strategically market your lead magnet or landing page. Let’s look at five easy ways you can build your list and get more subscribers for your business. An effective way to promote your email list is to link to it in your social media bio. When the majority of people check Twitter or Facebook up to 17 times a day, there’s no better platform to promote your lead magnet. When creating your social media bio make sure to mention your free guide and link to it. 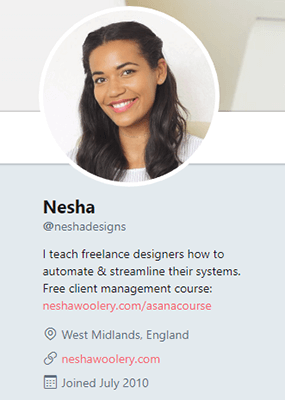 For example, on her Twitter profile, designer Nesha Woolery tells her followers she has a free course on client management. If you primarily use Pinterest for most of your marketing you can optimize your bio there too for more email subscribers. When you edit your Pinterest profile, the key here is to use keywords in your bio fields. 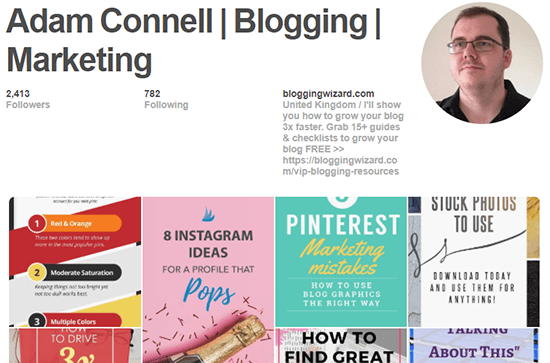 For example, Adam Connell uses “blogging and marketing” in his title. He then goes on tell his followers how he can help them – then adds a CTA so they can sign up for his VIP resources. 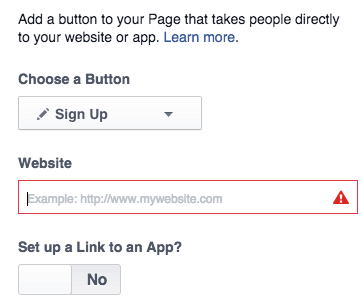 And if Facebook is where you do most of your marketing, you can add a Sign up button. This is what Kevin Duncan of Be a Better Blogger does on his Facebook page. You can easily do this by logging into your Facebook profile and clicking the Create a Call to Action button. You can then select the Sign Up option from the dropdown menu and enter the URL of your lead magnet or landing page. You can still use social media to help you build your list. On top of adding a link to your lead magnet in your bio, you can also pin your freebie on Twitter or Facebook. Having a pinned post means it always stays at the top of your feed. So, whenever someone lands on your page, it will be the first post they see on your timeline. Alternatively, you could simply tell followers to sign up to your newsletter. 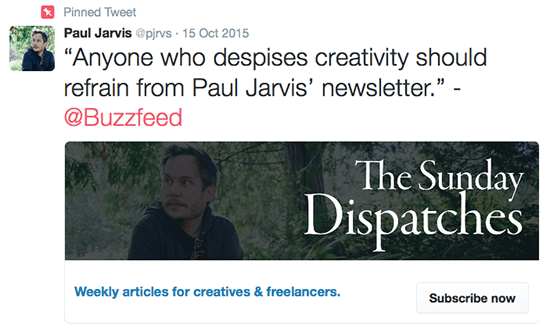 This is what freelancer Paul Jarvis does and he even has a Subscribe now button embedded in his tweet. Having this Lead Generation Card – as Twitter terms it – makes it easy for people to sign up to your list without leaving Twitter. It’s free to use and it can help you build your list quickly. Many people are protective of their email address. They don’t want to be flooded with marketing pitches or dozens of emails in a week from the same business. One way to get people to give up their email address is to provide social proof. This means showing people that other people have used your product or downloaded your lead magnet and they value it. According to the Wall Street Journal, social proof is more persuasive than saving money or making responsible choices – behaviors we typically value. 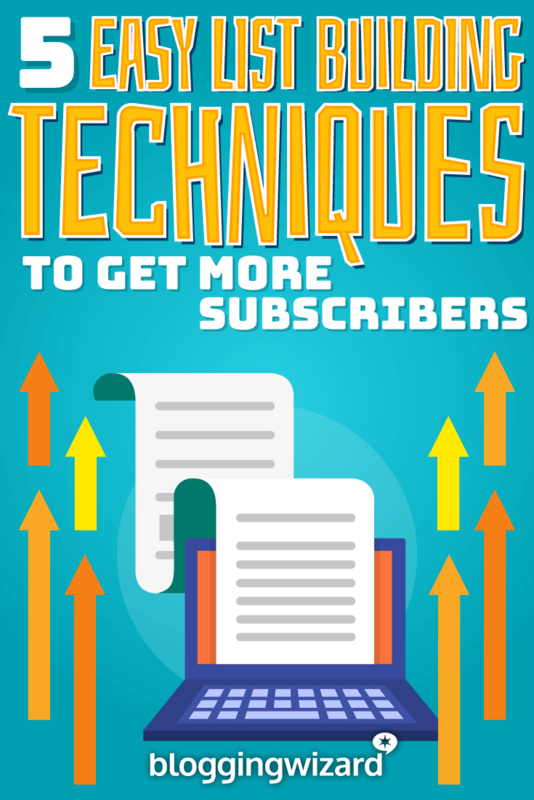 If you have a sizable list already, you can add the number of subscribers in your CTA. Social Media Examiner does this in their exit intent pop-up. 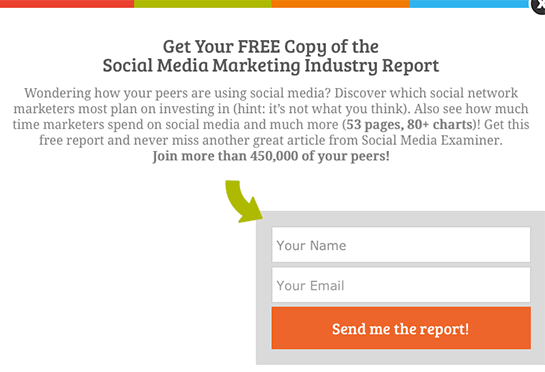 When a visitor reads that over 450,000 people have downloaded their free report, they will be more inclined to give up their email address because of the perceived value of Social Media Examiner’s lead magnet. But, what if you don’t have a sizable list? If you don’t have a large list, another way you can use social proof is by showcasing your skills as a small business owner, marketer, blogger or entrepreneur. For example, Neil Patel wants you to sign up to his list to learn traffic building tips, and you know he’s credible not only by the blog posts he puts out, but also by his social proof of visitors. If you’ve helped hundreds of people in your business, use this fact as social proof for your lead magnet to help you generate more subscribers. Your CTA button copy is important in conversions. Miss one word and your whole CTA could misalign with your target audience, but say it right and you’ll never have low sign up days again. Matt Wolfe of Multiply Authority has a strong CTA by using the first person in his button copy. Try using my, I, or me in your button copy. It can boost your CTR by 90%. Another thing you can do is incorporate power words in your CTA. These persuasive words evoke an emotion or a sense of urgency. Part of your content marketing strategy should include guest posting since it’s a free way to grow your traffic and your email list. Guest posting on high authority blogs like Huffington Post, Kissmetrics, Forbes and more can put your business on the map. By having your post appear on a highly trafficked platform, you can ensure more people will view your post and more people will share it and leave a comment. This opportunity for high engagement and social sharing can help you drive traffic back to your site. And you do this with your author bio. Whenever you guest post on other blogs, you have the opportunity to promote your business and lead magnet in your author bio. An author bio, or byline, is usually a headshot of you and a few sentences about you or your business. Typically, sites allow at least one backlink. Providing a lead magnet that is similar to your guest post is a strategic way to attract your target audience, which increases the likelihood they will sign up your list. 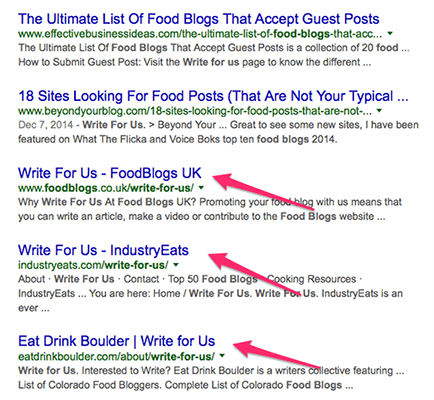 To find out which blogs in your industry accept guest posts, you can run a quick Google search. If there is a particular site that doesn’t advertise for guest writers but you know they have multiple authors writing for their blog, you can invest in blogger outreach. This just means opening up a line of communication between you and the blog owner. Once you are on the radar of the blog owner whose blog you want to guest post on, you can approach them for a guest posting opportunity. Building your list should be a priority for any online business. It’s the best way to acquire business and build a loyal following of happy customers. And you don’t always need to invest a lot of money to grow your list. Using tools like social media are an easy way to reach more people and get your brand out there. By taking a look at your CTA copy you can pinpoint whether or not your button copy is effective. Try swapping your weak words with power words as a way to improve your CTR. Finally, consider guest posting to grow your traffic and email list. Having your posts on high authority sites gets your brand message out to hundreds, if not thousands of more people than if you had posted on your blog. Want some further reading? 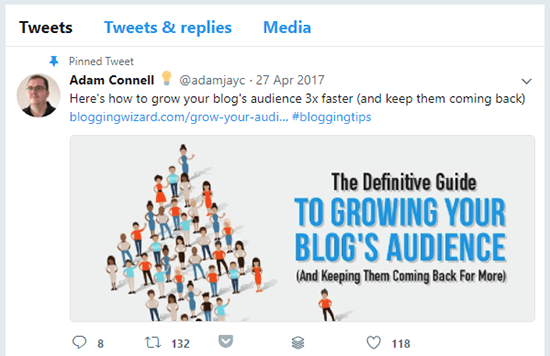 Check out Adam’s post on using strategic content to grow your email list or his definitive guide to list building.